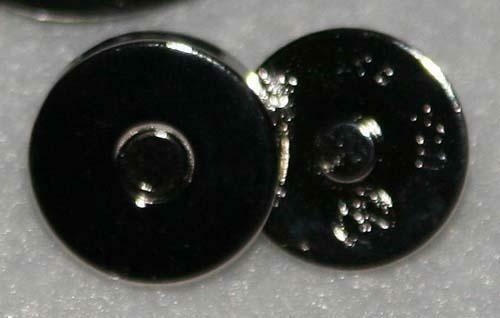 Notions > Sewing Accessories > Magnetic Snap Set Silver 1/2" (1.3 cm) 1ct. Magnetic Snap Set Silver 1/2" (1.3 cm) 1ct. Use as a closure for envelope style bags or as extra security with other styles.